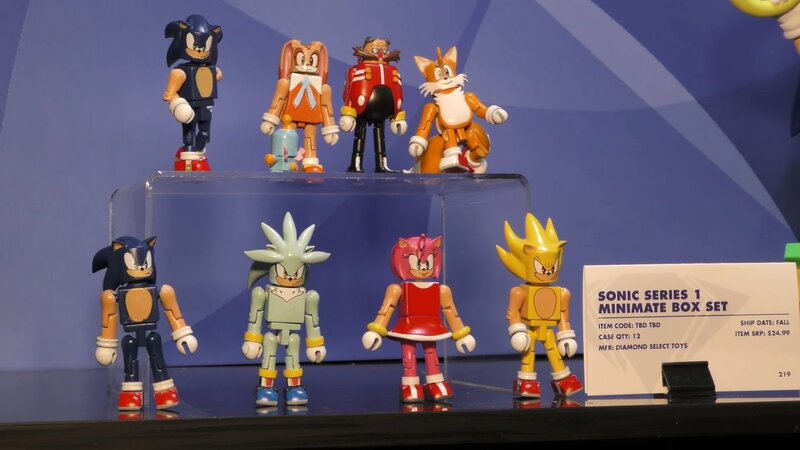 Fresh off the New York Toy Fair 2018 show floor, we have the first images of Diamond Select Toys’ upcoming selection of Sonic the Hedgehog figures. First, the Sonic Series 1 Minimate Box Set, which includes Sonic, Tails, Amy, Eggman, Silver and – curiously enough – Cream and Cheese. This range takes the character roster and downsizes them into blocky formations, which has the rather unintentional side-effect of making everyone look rather built. Cream, have you been working out? If those don’t tickle your fancy, then Diamond Select will also have another range coming soon that follow a more traditional approach. 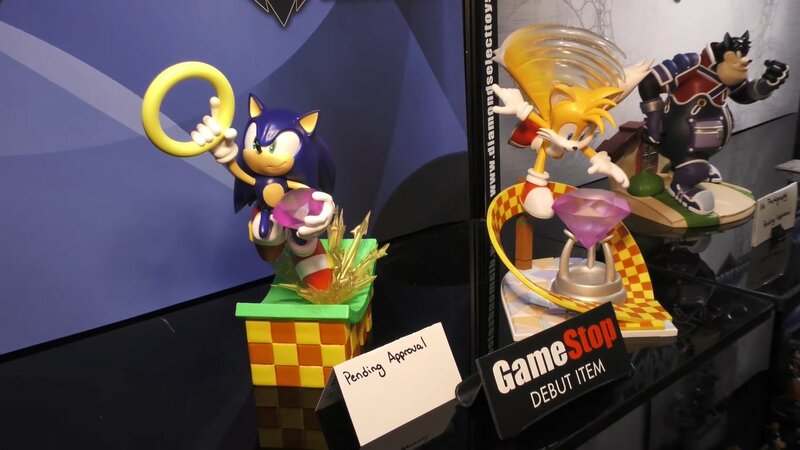 The above two diorama/statutes will be made available to US retailer GameStop, and focus on Modern Sonic and Modern Tails doing some radical poses. Diamond Select announced earlier last week that it would be bringing these new Sonic lines out, alongside other potential ranges that we haven’t yet seen here (including racer figures). Let us know what you think of these designs in the comments area below. Not so keen on the mini mate figures, just not my style, but pretty cool to see Cream and Cheese in there, shows a lot of promise in respects of getting a variety of characters in to the lines that Diamond Select are proposing. The Dioramas on the other hand though look far more interesting, I like the Dynamic poses. The use of translusent plastic on Tails to make his tails appear to be spinning seems like quite a novel and unique solution too, although would need a closer look to see if it looks good or not. Either way looks promising, look forward to seeing more! I kinda need all of these. Looking pretty good! Those minmates are exactly the kind of junk I knew they’d be. But those diorama pieces are EXACTLY what I always wanted! HELL yes! Bring that to me NOW, my money is for the taking!! those blocky figures are horrible as usually the only one that looks reasonably decent is Eggman because he’s human. The Sonic and Tails dioramas that look to be coming to Gamestop look sick. I don’t know if Gamestop or Diamond Select Toys do import shipping as I would love to add them to my collection. We’ve had one Cream figure before, at the tail end of Toy Island’s Sonic X set. It’s super rare nowadays, so this would be the only way to get one easily.